The rush platform helps Fraternities and Sororities (social collegiate organizations in the united states) recruit new students into their organizations. 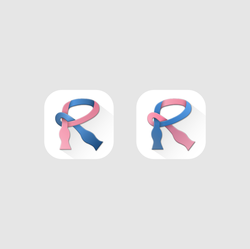 What inspires you and how do you envision the design for your business?Use an untied bowtie that twists playfully in the shape of the letter R. Both the R and the bowtie should be clearly recognizable. CruisePicker App Description of the organization and its target audienceCruisePicker is an iOS mobile app for finding and booking a cruise vacation. Our target user is 40+ years old and loves to travel, preferably via cruises. The app allows them to easily search for a cruise, compare and track prices, and book. 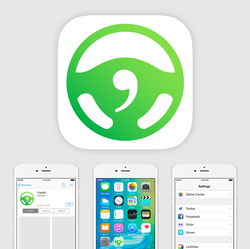 A beautiful iOS app icon that easily shows that the app is for cruises, vacation, ocean, sunshine. Feel free to use anything nautical (ship, wheel, ocean, island, dolphins, wave, etc.) as inspiration. But, please only use one metaphor in each design idea. - There are several standard ship icons out there. Don't use them. Lets create something unique! Our website caters to the outdoor enthusiast market. 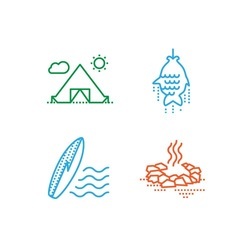 I need 10 icons designed, each for an outdoor activity. The size should be 45 pixels (wide) x 43 (high) and they should be round. They are for use on a website.